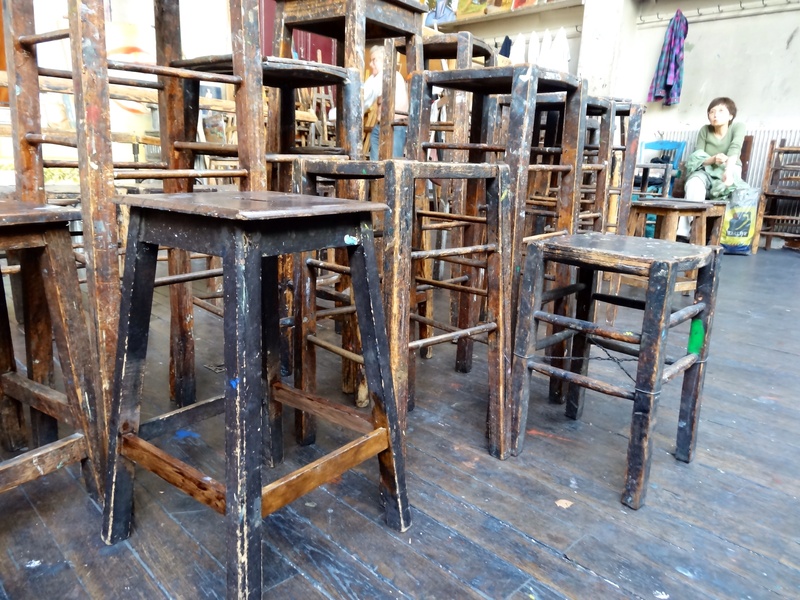 Stools and more stools, all heights from about 15″ to 48″. I was able to stay for the 3:00 drawing session as well as the 12:00 one today. Six hours of drawing and it went by so quickly. Not noticing the passage of time is a good indicator that a person is in a creative zone or space. That was certainly the case today, it did not feel like I was drawing for six hours, the time flew by and before I knew it we were on the last pose. I didn’t even notice how sore my bottom was until I put down my pencil and brushes! I will post some drawings tomorrow, it was dark by the time I got home and I need daylight to take pictures of drawings. 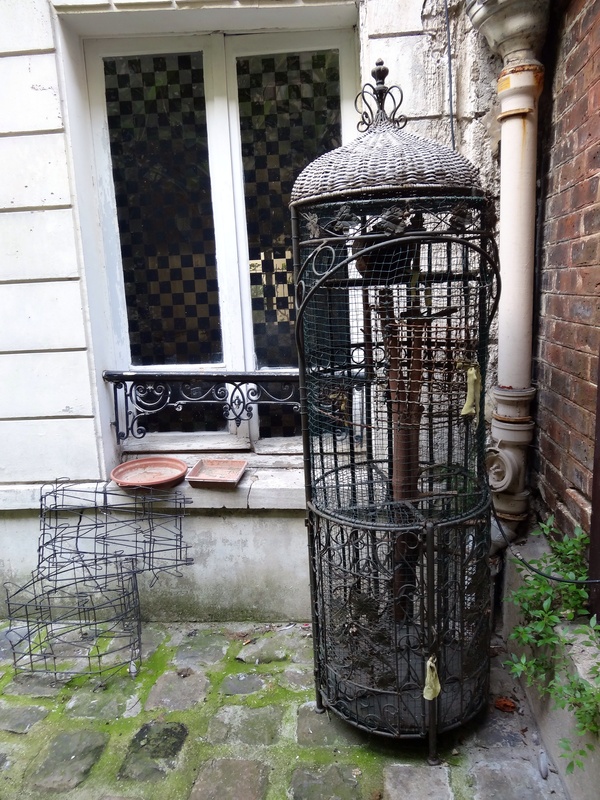 This interesting cage is in the corner of the little courtyard just outside the studio. No occupants today. I went to see the Osteopath again today, and I took these two pictures on the Metro going there at 6:30 pm, looking in both directions, before it got so packed that I couldn’t even get my arms up in the air to take another picture. 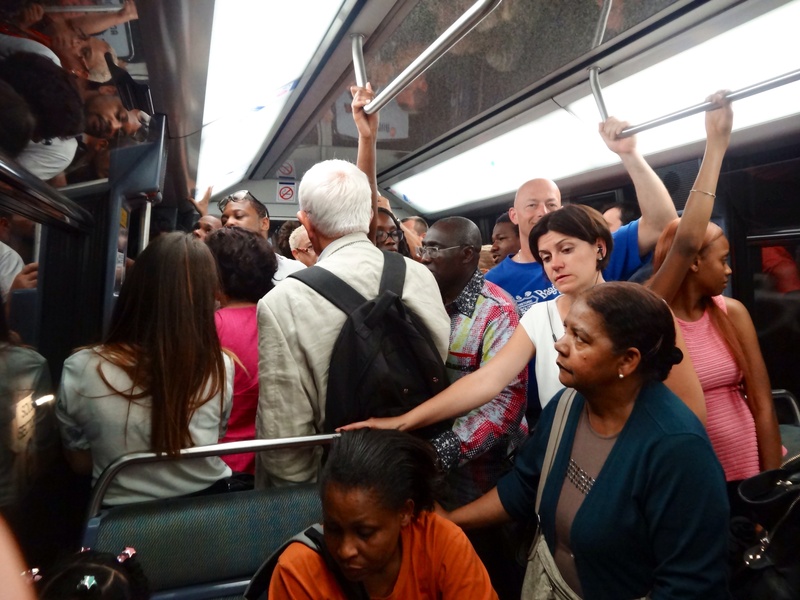 Yes, even more people piled into the train at the next station! It was almost 9:00 by the time got home so a long day but a very satisfying one. This entry was posted in Drawing, Life drawing, Paris Metro and tagged Academié de la Grande Chaumière, drawing, Life drawing, Metro by Trudy. Bookmark the permalink. Exactly spot on about zoning out in a creative zone. Good for you! Liked the subway photos to glimpse the hoi poli. Beware of pickpockets! The cage was artistically interesting. Take another photo if you happen to notice a bird inside. 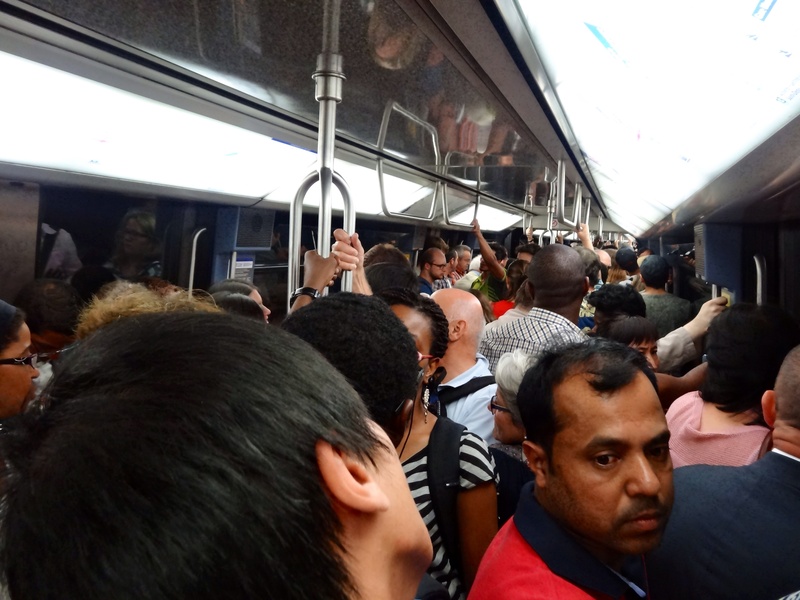 I’ve been looking to see if I can spot any pickpockets, but other than the one incident on the escalators I mentioned in an earlier post and people with clipboards approaching every now and then, I haven’t seen a thing. I am careful, but not paranoid. Shaking my head no is enough to deter them from approaching, they know you are on to them.